This low carb powdered sugar is perfect for all of your baking, smoothies, shakes, and candies! This recipe is not only low carb, but it is also sugar free, keto friendly, and Trim Healthy Mama friendly! 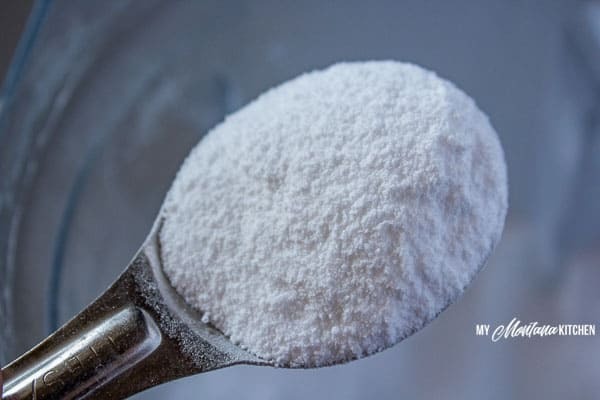 A couple of years ago the ladies at Trim Healthy Mama came out with Gentle Sweet, a low carb powdered sweetener that tastes A LOT like sugar, but without the health-damaging effects of sugar. Their sweetener was an instant success, and I always recommend it as my favorite sweetener. 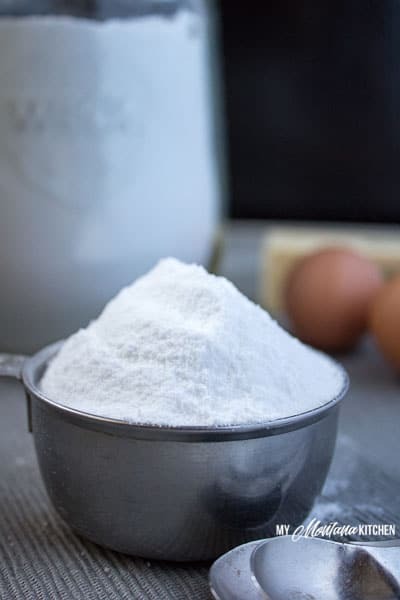 If you have followed my blog for any period of time, you will see that most all of my dessert recipes call for using this Low Carb Powdered Sugar, also known as Gentle Sweet. 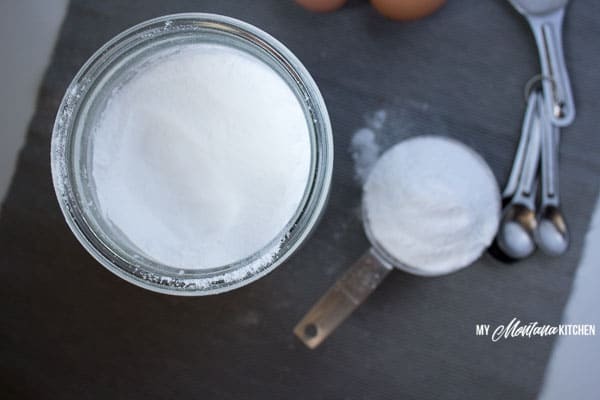 A lot of non-THM people who follow my blog are constantly asking, “What is that?” So, I’m here to tell you, and give you an option for making your own low carb powdered sugar at home! This powdered sweetener is a blend of xylitol, erythritol, and stevia. All of these sweeteners are natural, and do not have a negative effect on your blood sugar. There is one caveat, though. Xylitol, while not harmful to humans, is extremely toxic to dogs. So if you have fur babies, you may want to find another option, such as this Xylitol-Free Gentle Sweet! I have been using this sweetener for a couple of years, and it is my absolute favorite! It tastes SO much like sugar, but does not leave an aftertaste, like stevia alone. That got me to thinking . . . Pyure measures like Super Sweet (for my own tastes), as it is a blend of erythritol and stevia. Back in the beginnings of THM sweeteners, Pearl and Serene said to make your own Super Sweet you could mix 1 cup of erythritol and 1 teaspoon of stevia to make your own blend. Depending on how much baking I do, 2 batches of this Low Carb Powdered Sweetener last me a month or more! I usually order my xylitol and erythritol from Lucky Vitamin. You can also order it on Amazon for a good price, but I find Lucky Vitamin is cheaper! You do want to make sure you are purchasing a GMO free brand. And as for the stevia extract, I HIGHLY recommend the Trim Healthy Mama Pure Stevia Extract. There is NO other stevia that I have found to compare to theirs. And I promise I am not just saying that. It is sweet, but not bitter, and it dissolves in hot drinks so easily. You hardly even have to stir it to make it dissolve. I love it! You can order it in two sizes, and while it may seem expensive at first, I order the smaller bag and it lasts me for months! And many more dessert recipes here! The conversion for using this sweetener in place of real sugar is just a little over half. To replace one cup of sugar, you would use a little over ½ a cup of this sweetener. Of course, everyone’s tastes vary, so be sure to taste as you go along until you are comfortable with your own measurements. Trim Healthy Mama has a helpful conversion chart for their sweeteners! However, I use this low carb powdered sugar in place of Gentle Sweet in any recipes that call for it. So what do you need for this Low Carb Powdered Sugar? Simply put all the ingredients in a blender and blend until the mixture is a fine powder. This recipe makes about 3 cups + 2 Tablespoons of sweetener. PLEASE NOTE - there are 15 grams of sugar alcohols per Tablespoon, but since most people subtract these for net carbs, the carbs listed in the nutritional facts are zero. ** Xylitol is very dangerous to dogs, so please use caution. Could I do this with just Super Sweet? Yes, use 1 cup of Super Sweet and 2 cups of Xylitol. Hi Sarah! 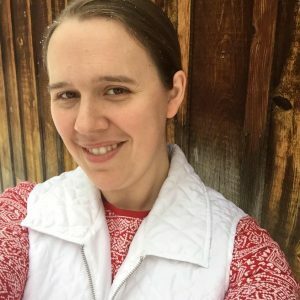 Thank you for all your wonderful recipes! You refer to your gentle sweet recipe as powdered sugar. I want to make sure I understand that you are not substituting this for confectioner’s sugar (I refer to as powdered sugar), but for granulated sugar. Is this correct? Yes, it can be used either way. It is basically a DIY version of Gentle Sweet. 🙂 It can replace granulated sugar or confectioner’s. Could you use just erythritol and stevia (3 cups and 1 tsp) to make a xylitol free version? I have not tried it that way, I’m not sure it would be quite as sweet. If you try it, please let me know!! That would be a great option for those with pets. Hello. Trying to decipher various sweeteners is frustrating me. I don’t want tonorder them online, bit I can get Pyure and Truvia at the store. Do you have conversations of Gentlensweet and Super Sweet into Pyure and Truvia? I won’t have Xylitol in the house due to my fur babies. Thanks soooo much! Sure! Here is the conversion chart that I use! Xylitol is safe for use in people, although like most sugar alcohols, it may have a mild laxative effect when eaten in large amounts or when first introduced to a diet. … Even small amounts of xylitol can cause hypoglycemia (low blood sugar), seizures, liver failure or even death in dogs. I have not tried making it with anything else, but perhaps you could use double erythritol? Two questions: First, why do you blend this up instead of just mixing them together? Second, do you find that the THM stevia is less bitter than the others on the market? Thanks for the two week challenge. I needed something like that! Hi Janell! You can certainly just mix the sweeteners together, but I find that the powdered sweetener mixes much better into candies, etc. Since it is powdered you don’t have to worry about a gritty texture. And yes, the THM stevia is by far the best I have found. I would highly recommend it – I do not find it bitter at all. Does this still leave that slight cooling effect that Pyure or Super Sweet have in things like the Pay Off Day Candies? Trying to find a sweetener that doesn’t have that. I do not like Swerve. Thank you for including the sugar alcohols in your calculations. Most diabetics need to count these in their net carb count (but only have to count half). Our pancreases don’t work like non-diabetics and don’t respond to sugar alcohols the same way.